You are here: Home / Living Clean / Pesticides: A Risk Factor for ADHD? Attention Deficit Hyperactivity Disorder (ADHD)—it’s on the rise. That may have something to do with the amount and type of pesticides children are exposed to. Fogging for insects? Don’t get exposed to dangerous pesticides! According to the American Academy of Pediatrics, 7.2% of children have ADHD, though another estimate is as high as 10%. Autism Spectrum Disorder has also increased. The CDC estimates that 1 of every 68 children in the US having the disorder. Research has linked environmental chemicals to these neurodevelopmental disabilities. Pesticide exposure may also be one cause of learning disabilities. One class of pesticides is organophosphates–a type of chemical that kills insects by disrupting the insect’s brain and nervous system. A 2010 study in Pediatrics looked at kids with average exposure to organophosphates. It found that kids with above average detection of pesticide residues in their system were twice as likely to have ADHD, compared to those with no detectable residues. In 2001, several of the most common organophosphate pesticides were banned due to health concerns. Instead, synthetic pyrethroid pesticide use ramped up. Pyrethroids were considered a “safer” choice. Unfortunately, this class of chemicals has not been tested for neurodevelopmental effects. These are the pesticides most often used for home pest control as well as mosquito control in towns across the US. (Probably used even more often now due to concerns over Zika and West Nile. See my post about Zika here.) Also, pyrethroids are increasingly being used in agriculture. Why is exposure to pesticides such a big deal for kids? Infants & children are the most susceptible to chemicals. The developing brain is more susceptible to neurotoxicants. Children eat and drink more per pound of body weight than adults. The dose of pesticides per body weight is likely to be larger in children. Children age 6 –11 years have the highest urinary concentrations of dialkyl phosphate (DAP) metabolites — markers of OP exposure — compared to other age groups in the U.S. population. Where do kids get exposed to pesticides? 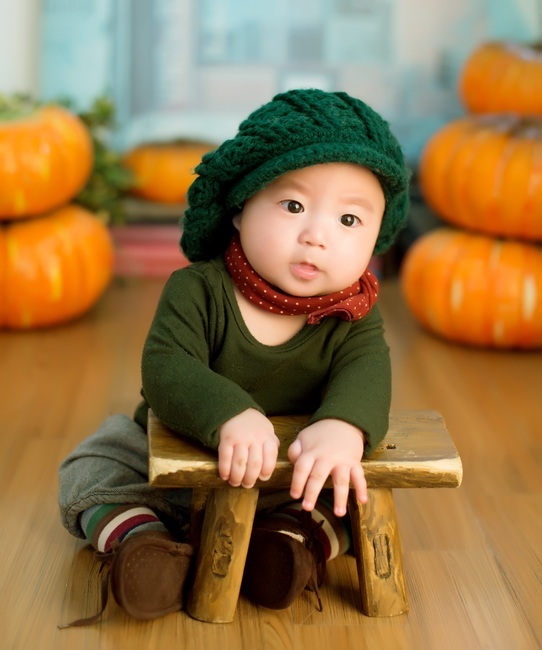 Babies and Toddlers spend a lot of time on the floor where they can pick up pesticide residues! One study found that pesticide residues found on the floor were linked to higher amounts of residues in children. Even if you don’t spray your home for bugs, you may bring it home on your shoes. Babies and toddlers spend a lot of their day on the floor and put everything in their mouth, increasing their exposure. Many pesticides hand around for a long time–and that’s a big problem! They are called Persistent Organic Chemicals or POPS. One study found that 12 years after the pesticide chlorpyrifos was banned, it was still found in the urine of 65% of the children tested. What Can You Do to reduce your child’s exposure to pesticides? Don’t, I repeat, DON’T stop giving your children fruits and vegetables; the nutrients in them are vital for growth and development, as well as short-term and long-term health. DO Offer Your Child a Variety of Fruits and Vegetables; this will limit the amount of pesticide he consumes from any one food. Buy organic produce when possible, especially for produce with the most pesticides. See the Environmental Working Group list of Dirty Dozen produce here. Are you using a lawn service that uses pesticides? 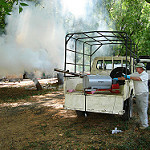 Do you use a Pest Control service that sprays pesticides inside or outside? Do you use insect spray to kill roaches and other bugs around the house? Do use chemicals on your pets to keep fleas and ticks away? If you answered yes to any of these, carefully consider the risk/benefits of regular pesticide use to your family. You may want to discontinue or decrease your use of pesticides at home. Also restrict their entry into the home by only using them outside, taking shoes off inside, etc. You can also look for natural and less harmful methods/chemicals. Ask to see your school’s pesticide use policy, which must be made available to parents. Find out if an Integrated Pest Management system is being used. Keep your children inside for at least an hour after spraying and you have the windows closed if your community fogs for mosquitos. Consider using Integrated Pest Management techniques, which rely less on chemical pesticides. Consider organic cotton and clothes made from organic cotton. 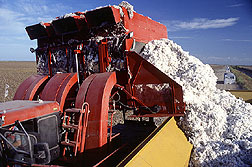 According to the Rodale Institute, cotton growing around the world uses 16% of the world’s pesticides! The pesticide residues can linger in clothes, even after washing. Cotton uses a lot of pesticides! Consider organic. Don’t go the natural route for keeping mosquitos from biting. Read my post here about which repellants are most effective. 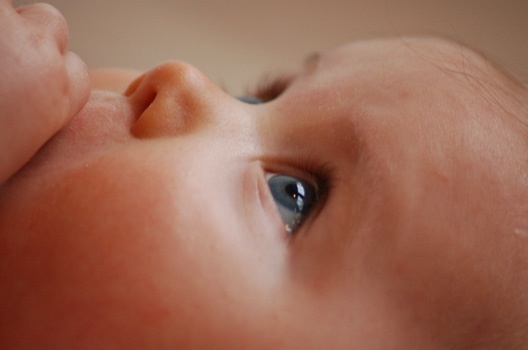 Environmental chemicals can be toxic to everyone, but especially to children and the unborn. Do what you can now to reduce the chemical burden for the children in your life, as well as yourself.